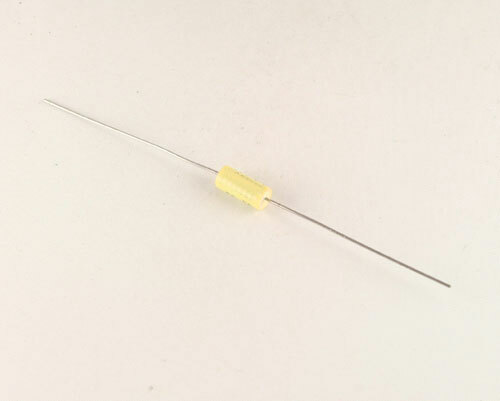 150272J630AA axial film metalized polyester capacitor. Very low inductance. Epoxy end sealed. Low leakage capacitor. Case size .18X.38in. 150272J630AA capacitor is great for audio applications, general purpose applications such as blocking, bypass, decoupling, smoothing and some timing, energy storage/discharge and arc suppression Made in USA.